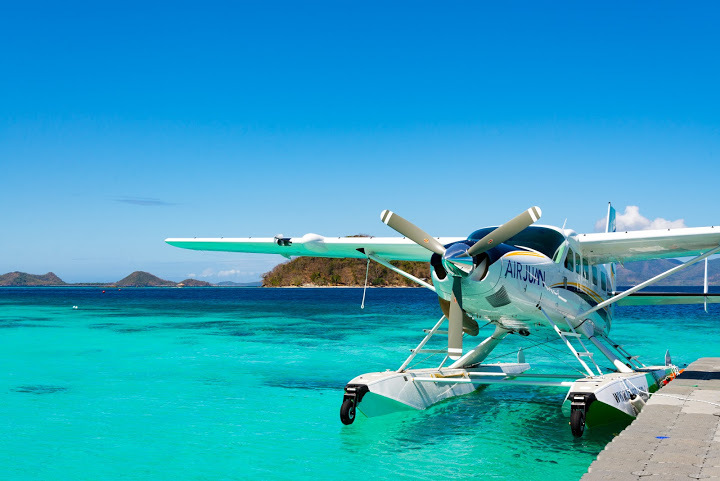 Aviation Updates Philippines - Philippine aviation company Air Juan announced direct daily seaplane service from Manila to the country’s top tourist destinations such as Boracay, Coron, Puerto Galera and Subic. Taking off from its dock at the Manila Harbour, the airline operates a fleet of new nine-seater Cessna Caravan Amphibian that can land and take-off from airports and from the water. Air Juan will be flying to top Philippine tourist destinations with its Cessna 208 seaplane directly from Manila. Photo by Air Juan. Air Juan’s seaplane service lands directly at most resorts in Coron, Palawan, with point to point service to popular destinationssuch as Two Seasons Coron, Busuanga Bay Lodge, Huma Island and El Rio y Mar; and at Diniwid Beach Resort in Boracay. Air Juan seaplane passengers can also skip the long queues and waiting time at airports. Air Juan’s dock-side check-in means that passengers need to only arrive 30 minutes before scheduledtakeoff.